Airbnb Houston properties are one of the best things a visitor to Texas can experience during their stay. Houston itself is the largest city in Texas. So it has plenty to offer to travelers of all kinds. You can explore the outdoors, and spend some time at the Johnson Space Center. Also, you can go shopping in the trendiest shopping malls in the city. Nighttime always comes, so you can revel in culinary bliss and indulge in your favorite Tex-Mex dishes at the city’s fancy restaurants and take part in the vibrant nightlife scene along the downtown area. When planning for a trip to Houston, accommodation is one of the most important things to take into consideration. The city is huge and contains a large number of neighborhoods. Hence, if you’re going there on holiday, it’s important that you choose a place that will give you easy access to the city’s top tourist destinations. 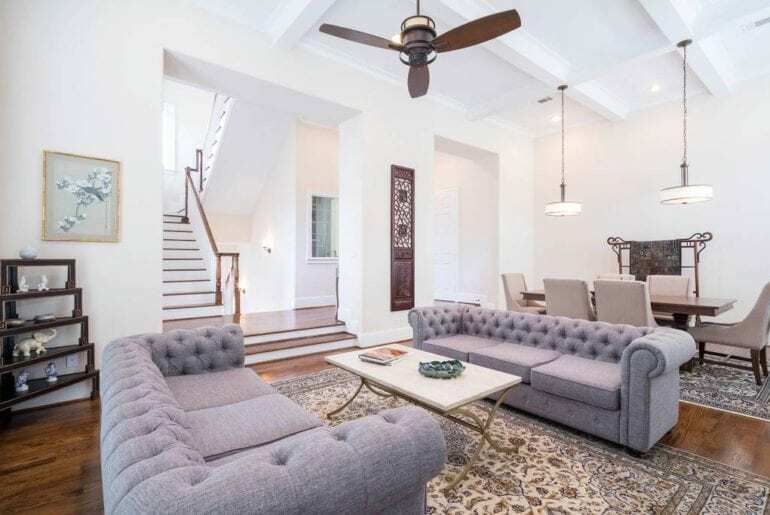 Check our list of some of the most luxurious Airbnb properties in Houston that will only cost you less than $400 per night. 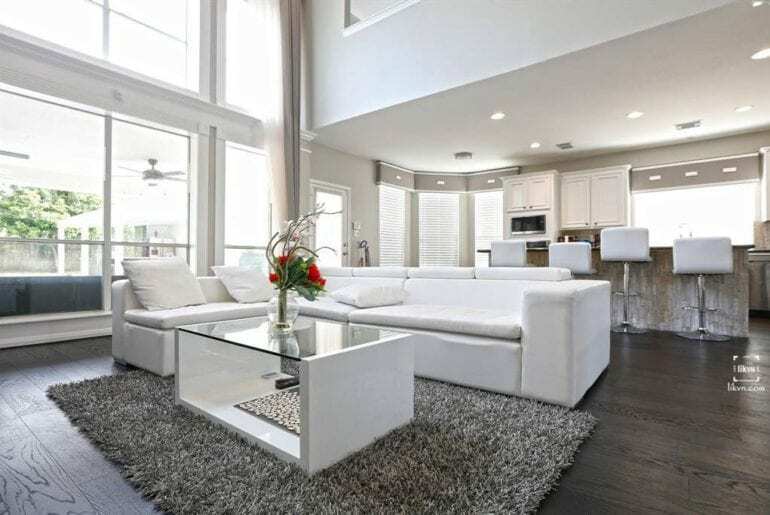 If you’re heading to Houston to relax and escape from the hustle bustle of the city life, then, the Airbnb Houston property is the perfect place to stay. 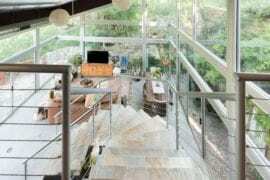 The beautiful house comes with a pool that opens to the stunning views of the Jacinto Riverfront. It has three spacious bedrooms, capable of sleeping up to 12 guests and costs only $278 per night! 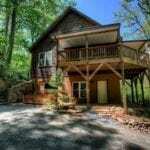 You can have this 3-bedroom house for only $255 per night. 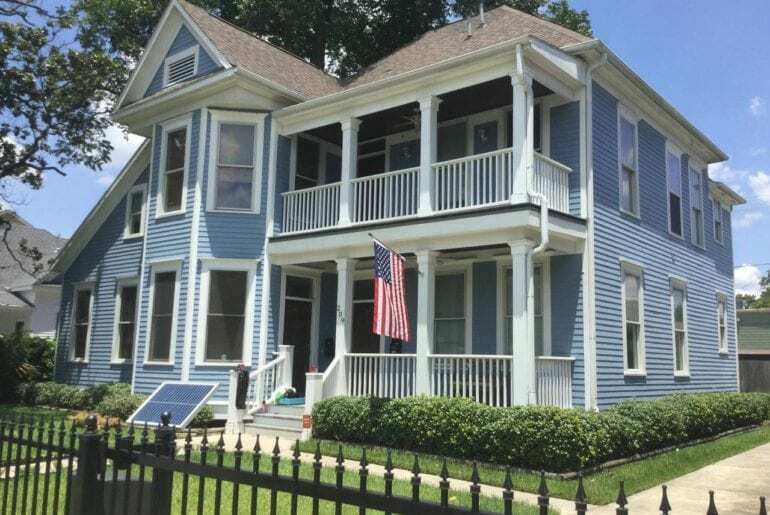 This beautiful Victorian house is located in the Houston Heights neighborhood which is only 3 miles away from the downtown area. It features a modern historic charm. With 3 spacious bedrooms and 3 beds, the house could accommodate up to 6 guests. 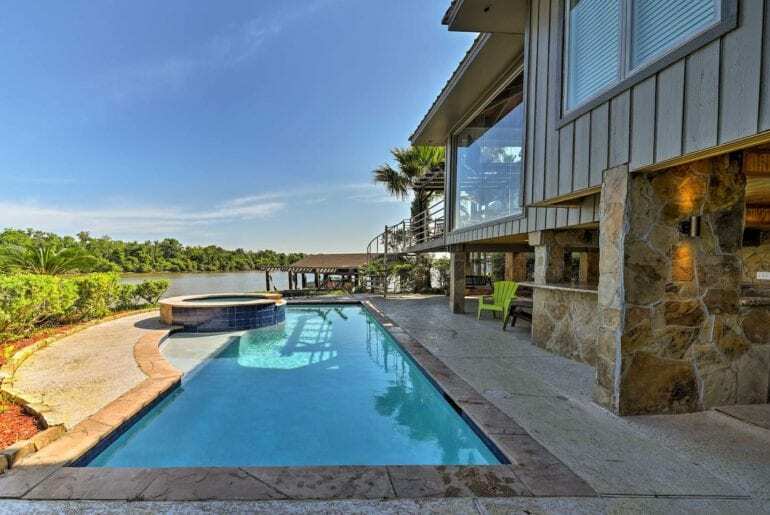 This house at the River Oaks is one of the magnificent Airbnb Houston properties. It has a beautiful rooftop deck that opens to the stunning Houston skyline, so a perfect sanctuary for a relaxing stay in the city. 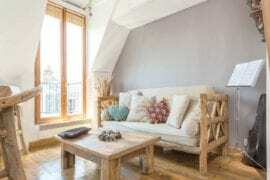 For only $345 per night, you can share this 3-bedroom house with 5 other guests. Visiting Houston on a budget? 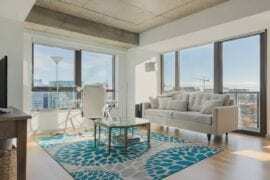 Check out affordable rentals HERE. 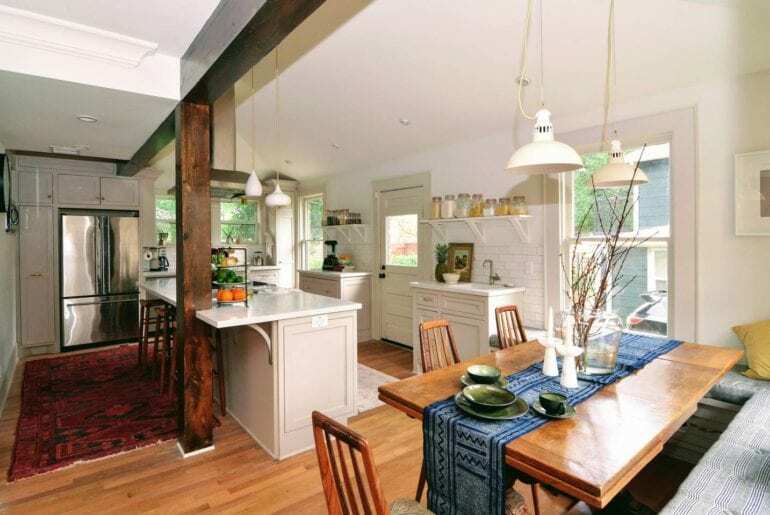 You can stay at this beautifully restored 1920s home for only $290 per night. It’s located in the historic neighborhood of Riverside Terrace, so is just a few minutes away from the Museum District and the downtown area. It has 4 spacious bedrooms capable of accommodating up to 10 guests. This sprawling mansion at Olde Oaks Subdivision has 5 bedrooms, 4 baths, and a beautiful outdoor swimming pool, so perfect for a summer trip. It’s near the Northgate Country Club and only a few minutes drive from the airport. For only $349 per night, this place can house more than 10 guests! This gorgeous townhouse is located right next to The Galleria, Houston’s most popular shopping destination, so there are lots of dining and entertainment options nearby. With a fully equipped kitchen, 3 bedrooms, and 3 beds, the house is suitable for a family of 6. It costs $400 per night only. Need something a bit smaller? 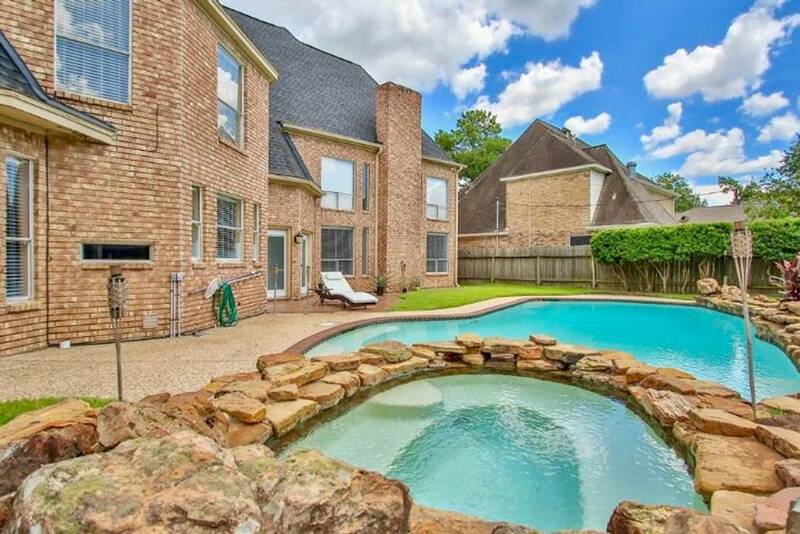 Check out mid priced Houston homes HERE. 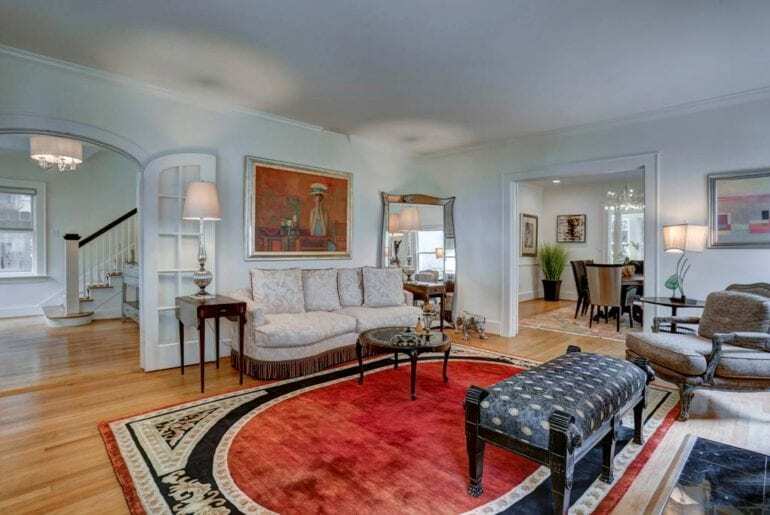 If you want to be near the Museum District, then, this fabulous home is an ideal place to stay. It is a 3-bedroom house that’s perfect for a family of 6 with an option to request for a crib or a toddler bed. So great for a small family. It costs only $325 a night. This beautiful house is located in a gated lake community that’s only a few minutes drive away from Energy Corridor and West Park Toll. It costs only $320 per night. 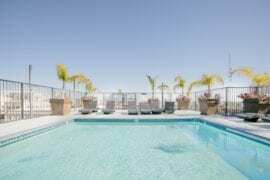 It’s very spacious, having 5 bedrooms with 7 beds that could accommodate more than 16 guests. For only $350 a night, you’ll have this entire mansion to yourself. 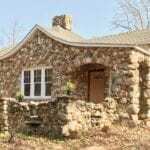 It’s located in a private estate that has quick access to the downtown area. 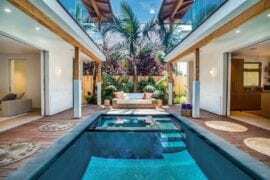 The sprawling house has 6 bedrooms with 10 beds, 4 baths, and a heated pool and spa. So, perfect for a large family. 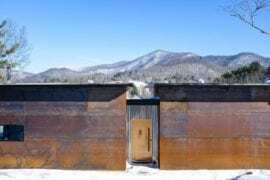 8 of the best Airbnb spots in Asheville under $250/night!